gives a triangle wave that varies between and with unit period. 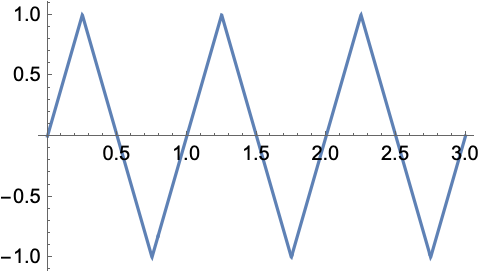 gives a triangle wave that varies between min and max with unit period. TriangleWave[x] is symmetric about , and has value at .